I interviewed Steven Santoyo while he manned the Duren Residence Hall Desk on a Saturday night. Not his shift of choice, but one he managed to do cheerfully. Usually, when you interview someone, you have to rely solely on words to learn about them. But our on-the-job interview gave me the chance to see Steven in his element — he chatted with everyone who came in, went beyond general RA duties to make sure anyone who had a problem got help, and was obviously the go-to leader when the other RA’s had questions. Steven built Type Texas in honor and memory of his friend, Kayce. "You never expect to lose someone so close to you and at such a young age, let alone because of an autoimmune disorder you both shared," Steven said. Supported by The College Diabetes Network in Boston, MA, Type Texas exists at UT-Austin to "connect, inspire and empower" individuals in Austin living with Type-1 Diabetes. 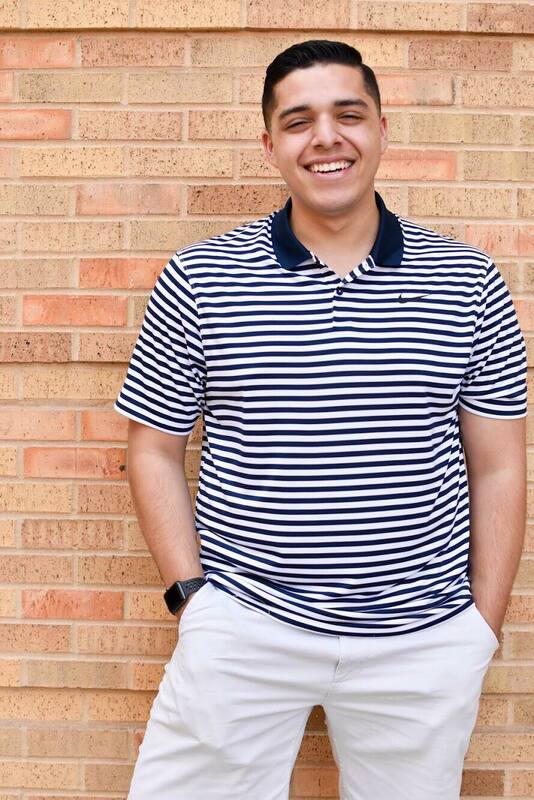 Living with Type 1 Diabetes has shaped Steven’s own life in a number of ways, after his diagnosis in 8th grade, he felt a shift in his priorities. “I kind of had to really grow up faster than most young people do,” he said. "Type-1 Diabetes (T1D) is a lot of work. Everyday children, young adults, and adults with T1D must be very careful with how they choose to take care of themselves. It's truly an invisible illness that can take a turn at any moment, with the potential of becoming fatal in some instances." Today, Type Texas has over 50 members and actively works to recruit and support its members as well as breakdown the stereotypes that often surround Type 1 diabetes. In a lot of ways, his work with Type Texas has shaped Steven’s priorities when it comes to education about any topic. “It takes experience through representation to break down piece by piece these societal injustices or constructions that we build and think of ourselves in,” Steven said.